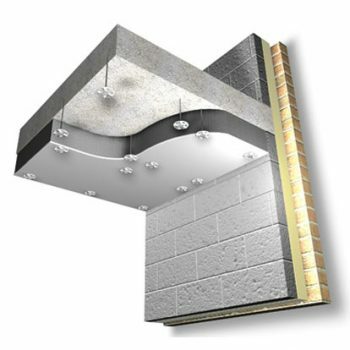 Styrofoam extruded polystyrene is factory-bonded to plasterboard to create a simple yet cost-effective solution that is incredibly easy to install. 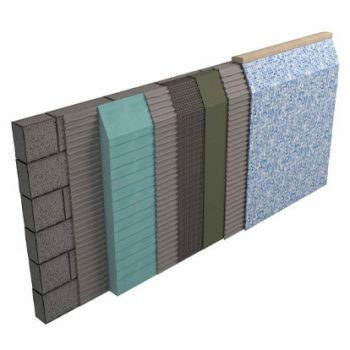 Styroliner® is an insulated dry lining board that is used to create warmer rooms and reduce energy consumption. Styroliner is constructed from Styrofoam extruded polystyrene (EPS), which is faced with plasterboard. It provides a simple and cost effective solution to insulating walls and is suitable for both refurbishments and new build applications. Styroliner® comprises plasterboard bonded to a backing of Styrofoam to provide an effective, energy saving wall insulation board.The styrofoam insulation backing is a blue extruded polystyrene which combines low thermal conductivity and a high resistance to moisture to ensure permanent long-term insulation. Styrofoam is CFC and HCFC free and has an Ozone depletion potential (ODP) of zero. 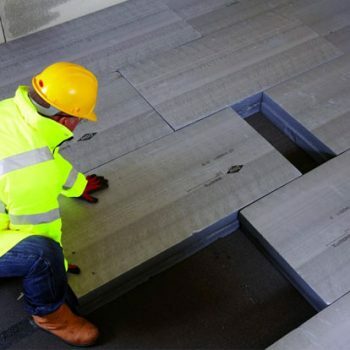 Styroliner boards are supplied in a standard sheet size of 2400 x 1200mm and are available in 5 overall thicknesses: 27, 35, 40, 48, 60 & 85mm. Styroliner consists of Gyproc 9.5 mm thick plasterboard manufactured to BS 1230 : Part 1 : 1985(1994) factory bonded to various thicknesses of LB grade extruded polystyrene Styrofoam board. The conversion of garages into a living space is a growing trend. Transforming the garage floor is made simple by the use of Styroliner fixed directly to the walls and ceiling. 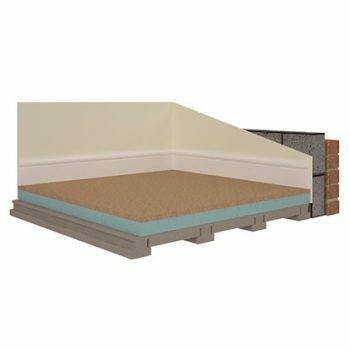 One simple operation to fit insulation and just apply your chosen covering for a complete wall insulation board and final finish. Styroliner can be fixed to the underside of rafters to improve energy saving in the loft space. The design of wall constructions to achieve Part L of the Building Regulations is easily achieved when specifying Styroliner. 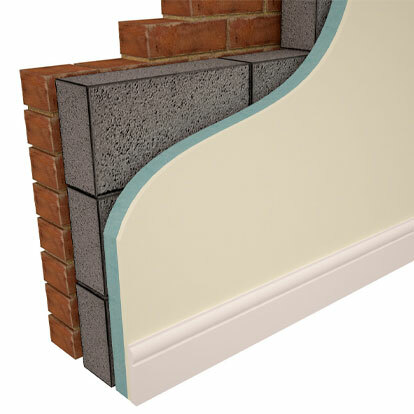 A combination of cavity filled insulation and Styroliner boards can achieve high performing thermal values. What is the weight of Styroliner? What thickness of Styroliner is required? This will depend on two important factors. If the project is subject to Building Regulations then there will be a need to achieve a certain thermal performance i.e. U value. In this case, refer to our Insulation Properties section. If the project is not subject to Building Regulations then you can choose whatever thickness you can accommodate in your construction. The thicker the panel the higher the level of energy saving. Is the product BBA approved? Is Styroliner resistant to moisture? 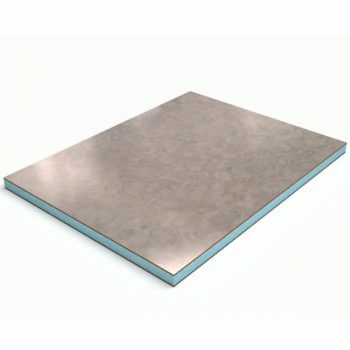 The Styrofoam backing is a closed cell foam and therefore resistant to moisture. Can I decorate Styroliner boards? Yes, the boards are faced with square edged plasterboard which can be decorated or skimmed with plaster. Can I use Styroliner in both New Build and Restoration projects?Yes, Styroliner is suitable to use in all types of applications. Please download the Styroliner PDF for guidance. What is a ‘U’ value? A ‘U’ value is the measurement of heat transmission through a material or assembly of materials. The U value of a material is a gauge on how well heat passes through the material and the lower the U value, the greater the resistance to heat and therefore has a better insulating value. The U value is generally used in the building and construction industry to specify assemblies of components which provide a suitable insulation and energy efficiency value. U-Value is expressed in units of W/m2 and relates to the amount of heat lost in watts (W) per square metre of material. What U value does Styroliner achieve? How are the boards fixed to my wall or ceiling? Please see the installation page for details on how Styroliner is installed. Where can I buy the adhesive and fixings? Both the Gyproc multi purpose adhesive and nailable plugs are available to buy from your local DIY / builders merchant. How much does delivery cost?The delivery charge is dependant on your location. Please enter your postcode whilst on the order pages for an accurate price. Are there discounts for large volumes?Yes, for enquiries in excess of 100m2, please contact us with your enquiry on 0114 249 5626 or sales@panelsystems.co.uk. Styroliner is supplied on a timber pallet and shrink wrapped with a heavy gauge polythene protection. Styroliner will arrive on a commercial vehicle. Where small quantities are required then off-loading manually is likely. For larger volumes, on-site forklift facilities will be required. Special vehicles e.g. Hiab, can be prearranged with our sales office for an additional charge. Give us a call on 0114-2495626. What is the likely delivery time on Styroliner? Delivery is normally within 7-10 days of placing your order. Can I prearrange a delivery day and/or time? Yes. Please contact our sales office on 0114-2495626 who will be able to provide full details. Will you supply Styroliner outside mainland Britain? Yes, from our depot situated 2 minutes from Junction 31, M1. See the map on our contact page for more detail. When purchasing from our online shop, you may also select the option to either collect or have your order delivered anywhere in UK mainland. Can Styroliner be purchased locally? We do supply a range of builders merchants however we recommend that you contact our sales office for additional information. Styroliner is manufactured in Sheffield UK. Styrofoam insulation is manufactured in Kings Lyn Norfolk by Dow Chemical Co. The chipboard is manufactured in Scotland. Yes. Complete our online credit application form and we will respond in 24hrs. Other payment methods include credit card through our simple on line buying section or by contacting our Sales Office on 0114-2495626.